eGenix is pleased to announce the immediate availability of the eGenix mx Base Distribution 3.2.5 for Python 2.4 - 2.7. The tools have a proven record of being portable across many Unix and Windows platforms. You can write applications which use the tools on Windows and then run them on Unix platforms without change due to the consistent platform independent interfaces. The package also include a number of helpful smaller modules in the mx.Misc subpackage, such as mx.Misc.ConfigFile for config file parsing or mx.Misc.CommandLine to quickly write command line applications in Python. The 3.2.5 release of the eGenix mx Base Distribution is the latest release of our open-source Python extensions. If you are upgrading from eGenix mx Base 3.1.x, please also see the eGenix mx Base Distribution 3.2.0 release notes for details on what has changed and which new features are available. As always, we are providing pre-built binaries for all supported platforms: Windows 32/64-bit, Linux 32/64-bit, FreeBSD 32/64-bit, Mac OS X 32/64-bit. Source code archives are available for installation on all other Python platforms, such as Solaris, AIX, HP-UX, etc. To simplify installation in Zope/Plone and other egg-based systems, we have also precompiled egg distributions for all platforms. These are available on our own PyPI-style index server for easy and automatic download. Whether you are using a pre-built package or the source distribution, installation is a simple "python setup.py install" command in all cases. The only difference is that the pre-built packages do not require a compiler or the Python development packages to be installed. For a list of changes, please refer to the eGenix mx Base Distribution Changelog and the change logs of the various included Python packages. The distribution comes with full source code. 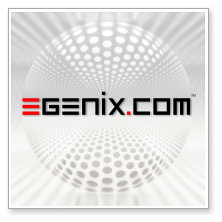 Please visit the eGenix mx Base Distribution page for downloads, instructions on installation and documentation of the packages.